HMRC released its annual report on EIS and SEIS investments in July 2015. The report illustrates the remarkable growth in popularity of EIS investments with an increase from approximately £500 million invested annually at the end of the financial crisis, to over £1.5 billion in 2013/14. 3. The increasing restrictions on pensions tax relief. A significant factor that will have an increasing impact in the future is that early EIS investment exits are starting to emerge. 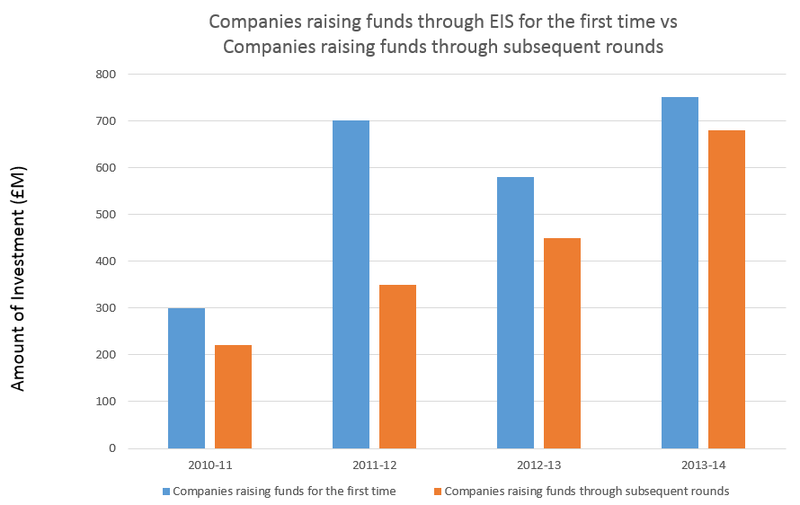 HMRC’s report also shows that there is also an increase in the number of companies raising funds through multiple rounds of EIS fundraising. 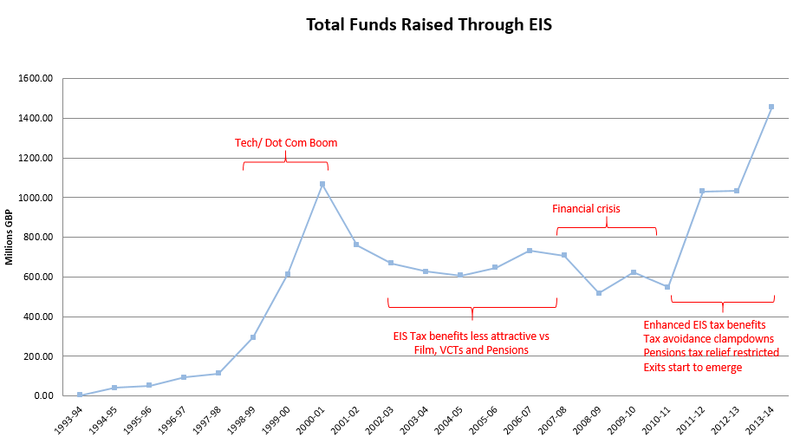 This is illustrated by Figure (B) and shows the encouraging sign of a healthy, maturing market in which more companies are aware of the ability to successfully engage in EIS fund raising activities. All of this is strengthening the UK economy through job creation and an increase in the number of viable, tax paying businesses.